Cleaning and unclogging your septic tank system can be a nasty business. Let Down Environmental handle all your drain and tank maintenance woes! 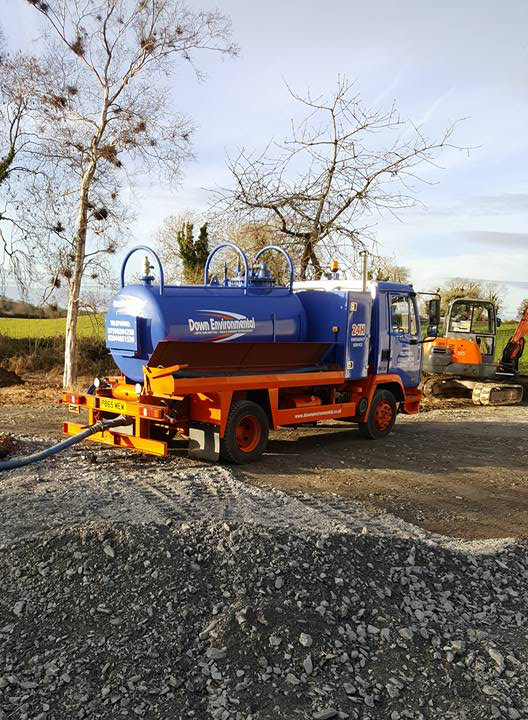 We provide drain cleaning and septic tank emptying and maintenance services at rates you can afford. You can also turn to us for soakaway repair and replacement. With our assistance, you can minimise health risks and prevent further damage to your tank. You also need not spend a lot of money for septic tank system replacement or clean-up services, which can happen if your tank is not maintained regularly and properly. Count on us to inspect your tank and drain as thoroughly as possible. We will check to see if there are minor issues, so they can be fixed before they become serious problems. You can also trust us to finish the job on time, every time. Fast and reliable: this is exactly what you get when you hire us. Contact us today! < © 2017 Down Environmental. All Rights Reserved.